As we started the day yesterday, we noted that HB 2578, the combined bullying and due process for teachers bill was below the debate line. Today then would be the last day to debate and vote on the bill before turn-around. We were working with Republican legislators and House Republican leadership in an attempt to get the bill moved up for debate and had hopes that it would happen. At the same time, House minority leader Jim Ward (D-Wichita) notified the House that he would move to have the bill pulled up onto the debate calendar if Speaker Ryckman (R-Olathe) did not do so today. That brings us to today. The bill was not above the line which triggered a vote on Ward’s motion. That motion failed on a vote of 36 – 81. Six Democrats were absent today (we assume due to the weather conditions) bringing Democratic votes down to 34; two Republicans, Joy Koesten (R-Leawood) and Stephanie Clayton (R-Overland Park) joined them. While this was a very disappointing vote, it was not an unexpected outcome. In our 20 years under the dome, we have almost never seen a caucus break with their leadership on a procedural matter. We had hoped that this time would be the exception to the rule, but sadly it was not. Yesterday, Speaker Ryckman had the bullying bill and the due process restoration bill re-introduced in the House Taxation Committee. This action means that both issues will survive the turn-around and be available for debate and action during the second half of this session. We will continue to work with leadership to get a floor debate and vote on both the bullying bill and the due process bill. The new due process bill is HB 2757 and the new bullying bill is HB 2758. Both should be available on the legislative website soon. You can help by contacting Speaker Ryckman and Majority Leader Hineman and asking them to please bring HB 2757 and HB 2758 up for debate and action on the floor as soon as possible. The House advanced to a final action vote two bills; Sub for HB 2602 would create a task force under the State Board of Education to bring back recommendations on how to effectively address dyslexia in schools. This compromise bill is intended to reveiw all the concerns brought by parents and all the issues brought by educators and find a way to create common ground. The idea was floated by Rep. Brenda Dietrich (R-Topeka). 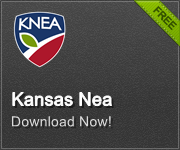 KNEA supports this bill. The House chose not to take up HB 2460, a bill allowing school districts to offer gun safety classes but then to restrict the curriculum to the NRA “Eddie Eagle” program in grades K-8 (later amended to add options for middle school). The bill was permissive in that it would not require schools to offer such programs. KNEA believes the underlying bill is fine except that the decision on which program to use should be left to the local school board as it is a curriculum decision. There are programs available from other organizations including 4-H. It was said that an amendment would be offered to allow Eddie Eagle or other evidence-based programs but the bill was skipped over. Perhaps this is in light of the sensitivity to gun issues in the wake of the Parkland, Florida school massacre.